I noticed the other week that this fabric and sewing supply store in what is more or less a Columbia Mall outparcel is closing. I have not been in a fabric store in decades, but I remember very well that when my mother used to take us shopping and we went into one, they air would be so heavy with dye fumes from all the bolts of cloth that our eyes would start to water almost immediately. 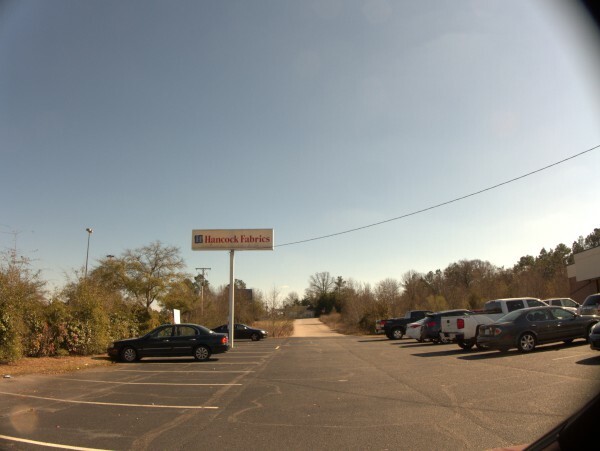 The chain website says that there is a nother Columbia store in Harbison. Subscribe to comments with RSS or TrackBack to 'Hancock Fabrics, 109 Shakespeare Lane: March 2016'. 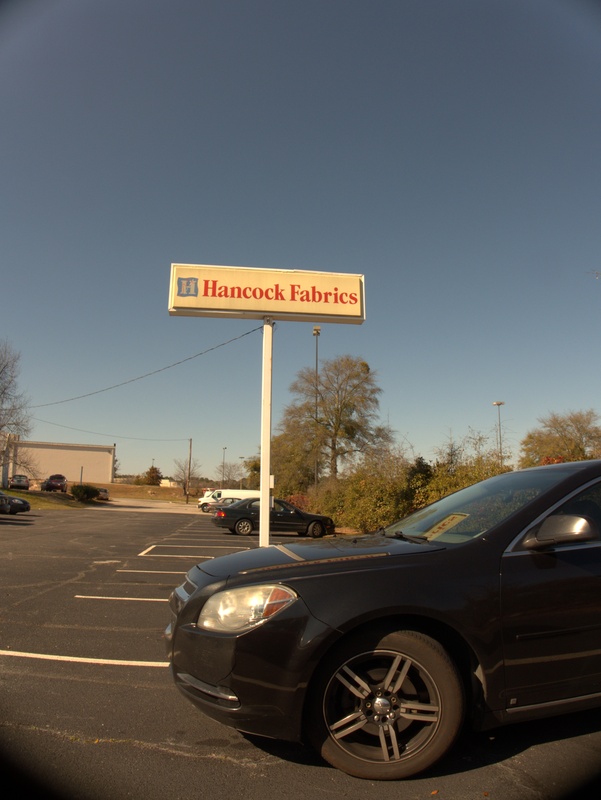 I had to go to Hancock's on Harbison about a year ago to pick up some foam and vinyl to reupholster a my Dad's desk chair. Like Ted said, it brought back memories of Saturday's on Main St. when I was a kid, following Mom and Grandma around cloth, pattern and thread shopping. Even at that young age, I hated it. I wanted to go to the toy department!! When I went to Hancock's I felt totally out of place as I was the only male in the store. There were a couple of little old grey haired grannies that looked at me like 'what are you doing here?'. 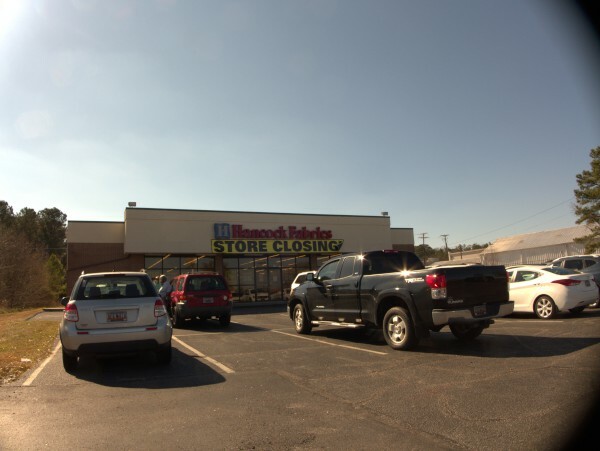 It was announced yesterday that the entire 185 store chain will be closing as a result of the company going into bankruptcy. @Matthew Benjamin, yep it's now called Beauty Stop.